One of the things I really miss from our life in the Philippines is the food. 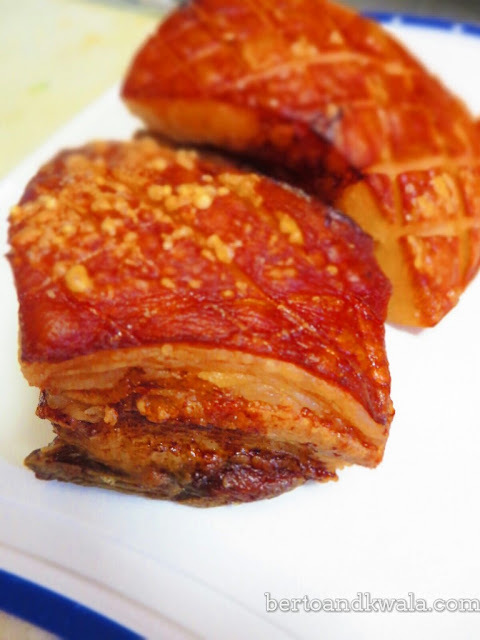 One of our favourites is Lechon Kawali. It is definitely not the healthiest food choice, but it is soooo good. That became our staple contribution to family potlucks. When we came here to Canada, one of Berto's comments were they didn't have enough fat in their meats. 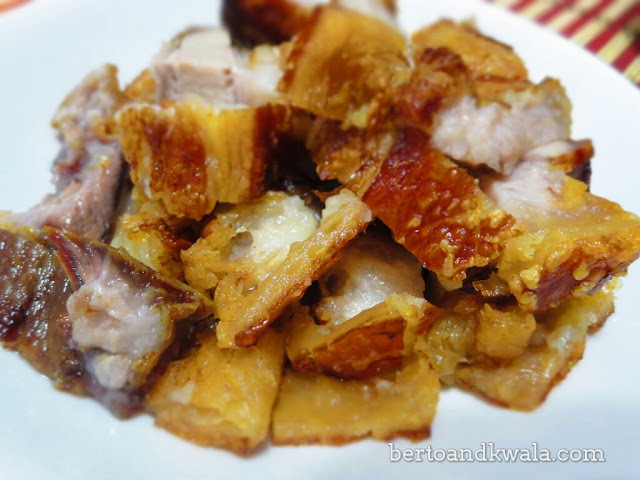 When he finally saw pork belly with fat in them, he was so glad that he'd be able to make his Lechon Kawali! We bought some from the Superstore. 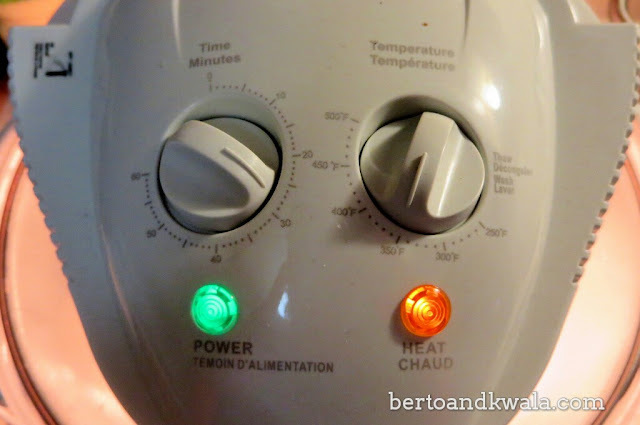 Perfect timing too because my mother in law gifted us with a turbo broiler last Christmas. Boil water, put in salt, onions, and peppercorns. 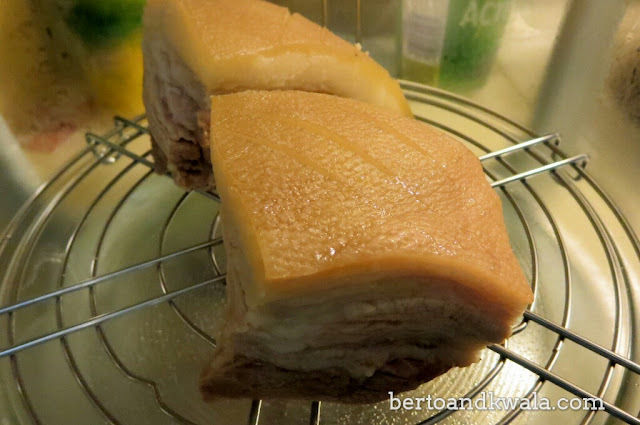 Put pork belly in boiling water for 10-15 minutes. Score pork skin, this means lightly course the knife along ths skin to make it crispy. 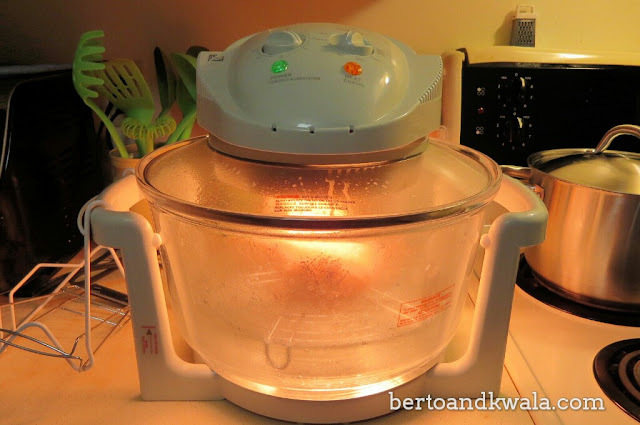 After boiling, put in turbo broiler for 30 minutes at 350F, skin facing up. After 10 minutes, open ans scatter some salt on the pork skin. After that, turn upside down, and cook again for another 30 minutes with the same settings. Once done, chop and serve with soy sauce and kalamansi or lemon juice as dipping sauce. Delicious!